Issues related to voting should now be resolved and all voting should be resumed. Because June voting was stopped, we had to lower the Credit. The credit for July will return back to the normal amounts. If your name is listed here, please reach out to me via skype (Ashour253) or email ([email protected]) to redeem your buycraft coupon reward for being a top voter of may 2018. CP's 6th birthday, has even more changes! Each block (A-M) will have a specific mob tied to it. At the moment, A-block does not have a specific mob. What do you guys think it should be? As the 6th birthday of CityPrison passes we'd like to welcome a large swath of incoming updates. 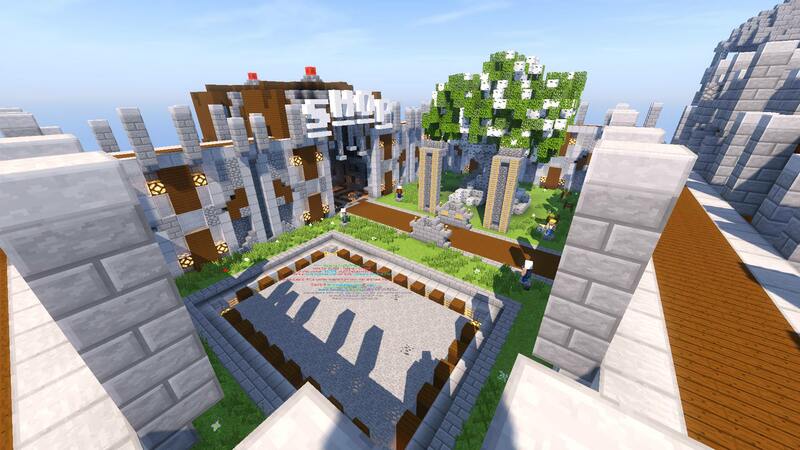 We start off today by releasing a new spawn that is a modification of our CP 4.0 spawn. Here are the top voters for the month of April. I apologize for the delay in posting this. We had technical issues that have been resolved now. as always winners please contact me on skype or via email! Here are the March voting results for our top 10 winners of a buycraft coupon code. As always, we request that the winners contact us via skype. If you do not have skype please use our email to get your coupon code. You guys have been asking for events, and here they are! Below are the top 10 voters for the month of Febuery. The count is rather small as we not only where limited to 28 days this month but we started late as well. Nonetheless, March will start off properly and we hope there are no hiccups this time. As always, please contact me on skype (ashour253) or email ([email protected]) to redeem your buycraft coupon code.